The Boy wants a mullet. * Seriously. Yesterday, he was washing his hands in the washroom, and his papa saw him brushing his hair at the back. Thinking it was cute, my husband asked casually, “Are you brushing your hair?” The Boy’s reply: “No, I’m curling my mullet.” Now let it be said, his hair is nowhere near long enough to qualify as a half-decent mullet. He’d be laughed out of the Mullet Club for Men. But he thinks he’s cultivating one anyway. Me: Your hair is getting in your eyes, honey. Time for a haircut. Boy: No, I don’t want my hair cut. I want a mullet. Me: Okaaaay. Do you know what a mullet is? Me: Are you sure you want one? Boy: Yes, I want one. I want it long in the back. Me: Why do you want one? Boy: I don’t know. I just do. I blame it on his father. My Beloved Husband sported a pretty decent mullet in one of his photo IDs back in the late 80s (I’d scan and upload it, but he’d kill me). The kids got such a giggle out of seeing that pic that it must have stayed in their mind, especially resonating with one of them in particular. So if the Boy goes out in public with such a haircut that will surely invite judgement upon him and his parents, I’m not taking the blame. I’m going to let this mullet phase ride out for as long as it needs to. I suppose that it’s preparing me for parenting kids who will go through crises of self-identity and experimentation with their appearance. And we’re pretty laissez-faire about how the kids want to look with their hair and clothes. Last year, our Girl wanted to have her long hair cut into a short bob, like she’d seen on AnnaSophia Robb from Bridge to Teribithia. She did it, and within a month, regretted having such short hair. But live and learn. 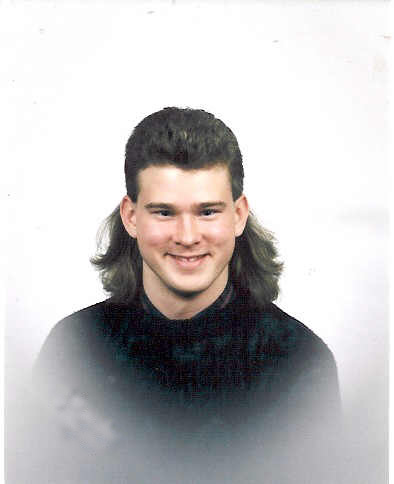 Besides, a mullet isn’t that bad; it’s quickly fixable, and let’s face it, it’s a great conversation-starter. At least it’s better than what the Boy wanted a few months ago: a mohawk. * For the few of you who don’t know what a mullet is, it’s known by many names, some of which are listed below. If you know of any other mullet nicknames, e-mail me and let me know. I’m just interested in the etymology, of course. But it’s not like I have an obsession with mullets, or anything like that.